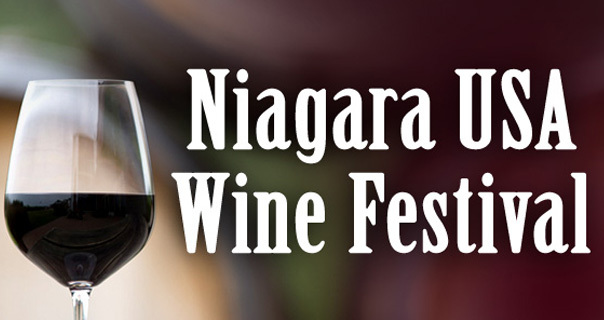 Welcome to taste from the Niagara Wine Trail USA wineries during this wonderful event. The Niagara Wine Trail, USA is situated between the Niagara Escarpment and Lake Ontario. On Saturday and Sunday, enjoy the live music, wine discussions and demonstrations from our vendors, which are free and open to all festival attendees. Tickets do not include food. Any one who wishes not to taste wine, or is under the age of 21, is not required to purchase a festival ticket and will be admitted free of charge. Each festival ticket include one tasting of 3 wines at each participating wineries at the festival and a souvenir wine glass. Tickets are valid for both days. Tickets purchased in advance online receive $5 in discount coupons valid towards the purchase of wine at the festival. (Coupons will be given upon check-in at the festival). Festival ticket holders will receive a keepsake wine glass with their ticket to keep as a souvenir, while supplies last. Get a FREE tote bag !! Purchase 6 bottles of wine get a FREE reusable 6-bottle wine tote bag. Purchases must be made in same day. No limit on 6 bottle purchases. Parking: There is free parking around the Park and in the Village. You may show your email confirmation (use your smartphone or print out email) at the main entrance tent to redeem your tasting ticket and wine glass. No tickets will be mailed. No refunds for event tickets. Your tasting ticket and wine glass must be retained for each day of the festival. Glasses may be purchased for an additional fee. You will be required to show ID and get a new wristband for each day you are tasting. Must be 21 or over to participate in wine tasting.